Snapchat has expanded its ad offerings with three new products featuring lenses and geofilters, including World Lenses, Audience Lenses, and Smart Geofilters. With at least 1 in 3 daily users playing with Lenses every day on average and Geofilters being viewed over 1 billion times a day on average, the new ad products are expected to deliver above average results for brands. With the Sponsored World Lenses, advertisers can both add a lens to the face and add content around the face, including floating 2D or 3D objects and interactive content. There are four types of World Lenses becoming available: the ones where brands can place a 2D or 3D film character or product into the photo (for snapping with the outward-facing camera); action-based lenses when users can interact with an AR object and trigger an action; an “interaction” World Lens (for example, an in-app game) and environmental lenses which can add floating lights or ambiance. Snapchat's Sponsored Lenses and Geofilters is an expected move from the company as lenses have a high "play time", or high engagement among users. On average, Snapchatters play with the Sponsored Lenses for over 15 seconds before creating a photo or video snap and sending it to their friends or posting to their story. One of the first sponsored filters and geofilters available in Snapchat is by Everything, Everything, a movie by Stella Meghie about a teenager who's lived a sheltered life because she's allergic to everything and who falls for the boy who moves in next door. The movie based on the book Everything Everything by Nicola Yoon debuts in theaters across the USA on May 19th. Other brands to launch the World Lens ads include Netflix, Dunkin Donuts and Glidden Paint. 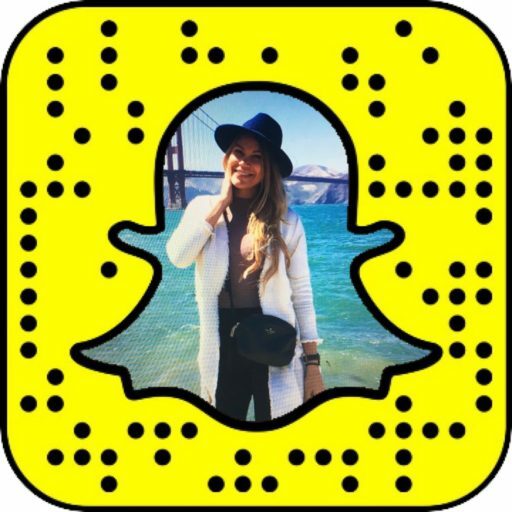 In addition to the World Lenses, Snapchat has rolled out Audience Lenses allowing advertisers to buy regionally targeted Lenses. Previously, brands could only purchase lenses served to users nationwide. With the Audience Lenses, advertisers can buy a number of Lens impressions targeting users with specific demographics (age and gender) or falling into one of Snapchat’s “Lifestyle Categories” based on user viewing habits in the Discover and Our Stories sections in the Snapchat app. It's reported that "Red Bull and MTV have already tested these Audience Lenses, and Lancome’s L’Oreal Paris will launch one soon". Snapchat's third ad product, Smart Geofilter, lets users access branded overlays when they swipe left or right on the camera. Smart Geofilter automatically adds location information or other real-time information to a nationwide or chain Geofilter, such as a high school or college name, airport name, state, city, neighborhood, zip code or similar. According to Snapchat data, over 80% of Snapchatters have used Geofilters at a restaurant, 66% at a mall, and 50% at a gym and Smart Filters therefore add value to the user experience by letting users showcase where they are snapping from. Smart Geofilter announcement follows Snapchat's recent launch of a geo-based ad product, Snap to Store, helping advertisers track foot traffic generated as a result of Snap ads. In addition to launching new ad products, Snapchat introduced faster production timelines for Sponsored Lenses reducing the project timeline from 8 to 6 weeks. It will also take 1 to 3 weeks to produce and launch creative content based on previously created Lenses. Snapchat's three ad products featuring lenses and geofilters represent the largest update to its Sponsored Creative Tools since the first branded Lens release in October 2015. The company offers the World Lenses in all markets where Lenses are available, including the U.S., U.K., France, Germany, Canada, Australia, and other countries.